As Division Director for Networking at the National Science Foundation (NSF), Dr. Stephen Wolff was responsible for the development of the NSFNET – the first open computer network in the U.S. for the support of research and higher education. This network connected supercomputing centers, regional research and education networks, federal agency networks, and international research and education networks, and eventually it became a major part of the Internet backbone. In 1994, Wolff joined Cisco, where he worked to support extramural academic research. In 2011, he was named interim vice president and chief technology officer of Internet2, a nonprofit consortium owned by leading U.S. universities. The Internet2 Network serves more than 60,000 educational and research institutions and connects with peer networks globally. In 2002, the Internet Society awarded him the Jonathan Postel Service Award for “outstanding contributions in service to the data communications community." 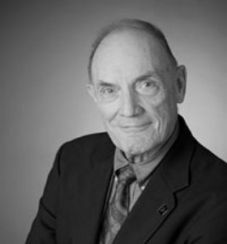 Wolff earned a PhD in Electrical Engineering from Princeton University in 1961.